The Dubai IoT Strategy drives the emirate’s smart transformation forward as it strives to digitise more aspects of people’s everyday life, connecting them to the Dubai Pulse Platform - the digital backbone of the smart city project. The strategy is set to be implemented over four consecutive phases in the coming three years. The first phase centres around Coordination of efforts and activities to implement IoT policies across government departments. 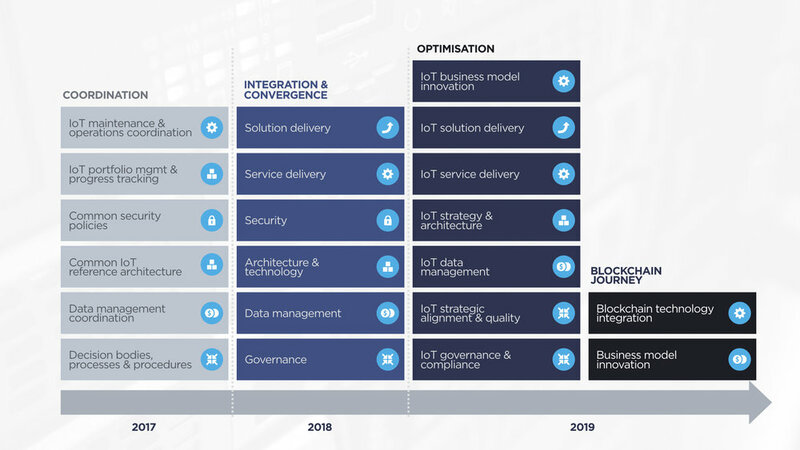 Second, the Integration and Convergence phase, which seeks to harmonise efforts towards implementing the IoT Strategy. After the third Optimisation phase, the strategies will go into the final “Blockchain Journey” stage, which will witness the full integration of IoT policies and the first ROI of the strategy. It covers six strategic domains: governance, management, acceleration, deployment, monetisation and security.